As I never tire of repeating, I’m a huge breastfeeding advocate. I fed my daughter for about 21 months, and it was an incredibly precious time (until it wasn’t and I found myself struggling to wean!). There are so many breastfeeding benefits, for both mother and baby, and these are not limited to the obvious ones associated with nutrition. And that list is not exhaustive! For example, though this may not be important to every woman (and can be problematic for those wishing to extend their family) – I saw it as a huge advantage that I experienced breastfeeding-induced amenorrhea! One of my greatest sources of frustration because they can often be blamed for women ceasing breastfeeding before they’d ideally choose to. And there are so many! My impression is that these are often perpetuated by older generations of well-meaning relatives, perhaps before adequate guidance was available. 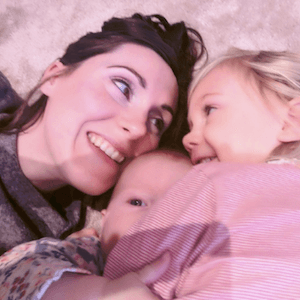 But it’s so prevalent and can be so harmful; I’ve attempted to dispel some of the most common ones in my post ‘Breastfeeding: The Myths vs The Magic’. But there is a positive byproduct of these breastfeeding obstacles: fantastic communities of like-minded parents are forged, and they’re only too willing to support and encourage each other to overcome their respective issues. I’ve written a lot about the subject, and even released an ebook to help educate and empower women about how to breastfeed successfully. I was supremely exasperated by the lack of accurate information available regarding breastfeeding and alcohol – specifically how much is safe. 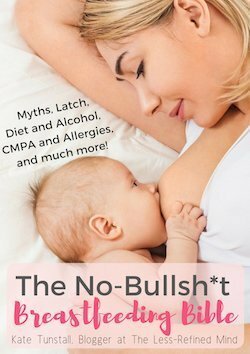 I decided to research the crap out of it until I was satisfied with what I’d learned, and then I wrote about the truth of breastfeeding and alcohol. I hope my findings – one of my most popular posts to date – is a reliable resource for those wishing to continue living their lives within acceptable boundaries and without detriment to their infants. From a personal perspective, though I can’t be absolutely sure that breastfeeding my daughter is to thank, I believe breastfeeding helped my mental health during a difficult time. Following a traumatic delivery I suffered PNA; but over time I’ve managed to completely change my mindset and have never been more content. Promoting mindfulness and gratitude for a more appreciative life – particularly in and of our children; championing gentle and supportive parenting which models the behaviours we wish to foster in our little ones. 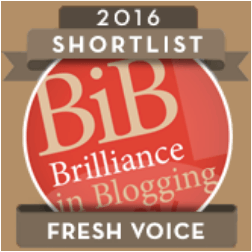 I hope that any breastfeeding mamas will find a wealth of useful information within my posts – and even more so in my book. I’ve also recently set up a Facebook group, Mindful Parenting, to help provide ongoing support from peers in reference to breastfeeding and many other parenting issues, a community you’ll be very welcome to join.